An enigmatic species of shark native to the North Atlantic may be the longest-lived vertebrate on the planet. 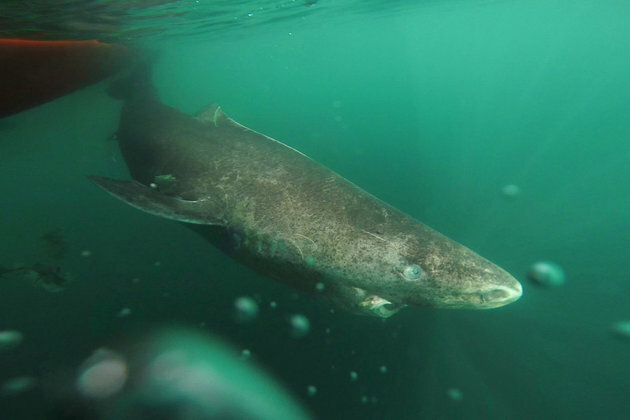 Newly released research on the Greenland shark shows that the creatures may live to be more than 400 years old, according to an article published Thursday in the journal Science. 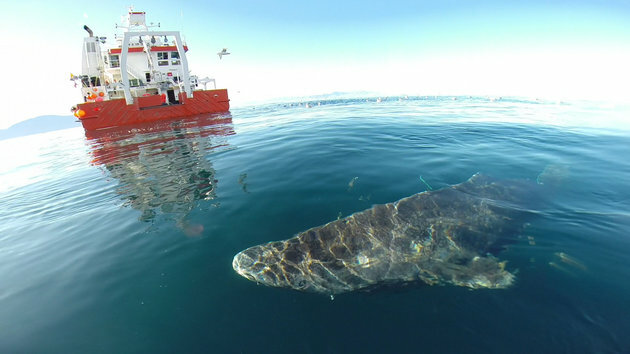 Researchers with the University of Copenhagen examined several Greenland sharks inadvertantly caught in unrelated research expeditions. Using this technique, the researchers concluded that two of their sharks—both less than 2.2 meters long—were born after the 1960s. One other small shark was born right around 1963. The team used these well-dated sharks as starting points for a growth curve that could estimate the ages of the other sharks based on their sizes. To do this, they started with the fact that newborn Greenland sharks are 42 centimeters long. They also relied on a technique researchers have long used to calculate the ages of sediments—say in an archaeological dig—based on both their radiocarbon dates and how far below the surface they happen to be. In this case, researchers correlated radiocarbon dates with shark length to calculate the age of their sharks. The oldest was 392 plus or minus 120 years, they report today in Science. In other words, they estimate the oldest shark they found was 392. But the shark could have been as young as 272 years old, and may have been as old as 512. But even the low end of the age range would beat out the bowhead whale, which has an estimated lifespan of 211 years, for longest-lived vertebrate, according to the research. The Greenland shark’s estimated longevity of 392 would be exceeded only by the ocean quahog clam. One of these clams, named “Ming” by researchers, was 507 years old. 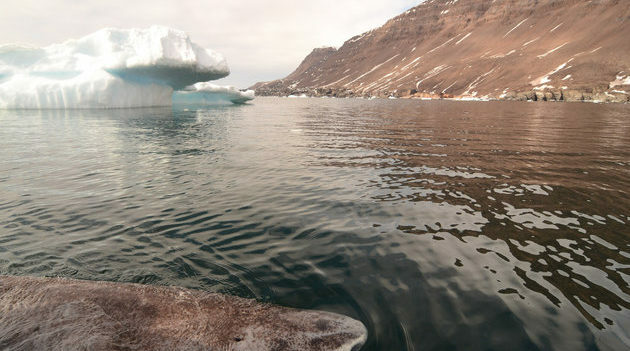 A Greenland shark in the icy waters of Disko Bay, western Greenland. Reaching up to 24 feet in length, Greenland sharks are the second-largest carnivorous shark after great whites, according to the Greenland Shark and Elasmobranch Education and Research Group. The group notes that the animal is “rarely observed” because it spends much of its time in water too deep for most scuba divers to reach. 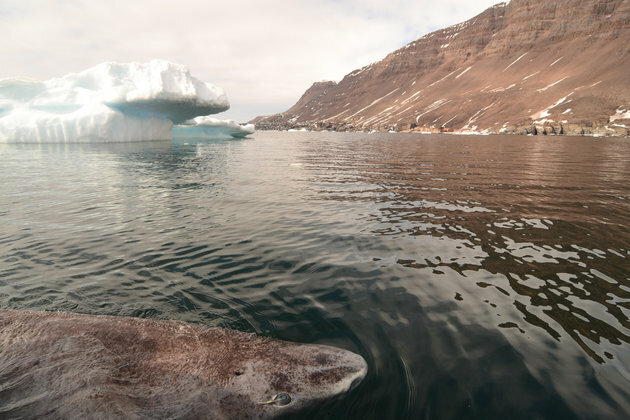 Greenland sharks already had a reputation for a long lifespan, but people weren’t sure just how long that lifespan was. Even now, however, not everyone is totally convinced. “I am convinced by the idea of there being long lifespans for these kinds of sharks, [but] I take the absolute numbers with a pinch of salt,” Clive Trueman, associate professor in marine ecology at the University of Southampton, told The Guardian. Trueman said that since some the proteins found in eye lenses came from nutrients consumed by the shark’s mother, there are variables that the new research doesn’t take into account. He recommended continued study to “nail down” an exact age.